John Moore/Getty ImagesA 2-year-old Honduran asylum seeker with her mother near the US-Mexico border on June 12 in McAllen, Texas. President Donald Trump’s practice of separating families that illegally cross the border spawned widespread outrage and condemnation. But the US wasn’t much better about it under President Barack Obama. Obama came up with ways to quickly deport millions of migrants, many of whom allege mistreatment, drugging, and abuse while in US care. Obama and other top Democrats strongly defended the practice of using harsh treatments at the border to deter migrants, something the Trump administration has picked up on. An immigration lawyer takes issue with such methods and says they do not work to deter migrants. President Donald Trump’s practice of separating families that illegally cross the border as a deterrent to other potential border crossers has direct roots in the Obama administration, which said and did many of the same things Trump has been widely condemned for. While some officials in the Trump administration owned the short-lived policy of separating families at the border, President Barack Obama earned a nickname among immigration activists as the “deporter in chief” for expelling about 3 million people from the US. And it wasn’t pretty when Obama did it. Recent court filings allege that US detention centres drugged without consent and abused migrant children in the US under Obama. Pictures virally circulating online purporting to show Trump’s deportation jails have actually pictured facilities during the Obama administration. Fleeing Central America, where murder rates in some places are among the world’s highest, thousands of unaccompanied minors headed for the US’s southern border in 2014 seeking safety. But when they got there, they found the Obama administration ready to take extraordinary steps to stop them. Kolken says Obama created something called a “rocket docket” that “fast-tracked the deportation of toddlers and families, oftentimes without lawyers,” to maintain compliance with the Flores agreement, a settlement barring the US from holding migrant children for more than 20 days. “They basically were torturing people,” Kolken said of the Obama administration. “They were putting them in freezers and holding them there until they could be transferred to an expedited deportation.” Kolken says the detention centres were purposefully put in remote locations to stop immigration lawyers and activists from helping the detained. Mark Wilson/Getty ImagesPresident Barack Obama at a news conference at the White House in 2016. The Democratic Party, at its highest levels, endorsed the strategy of using harsh consequences at the border to deter others. 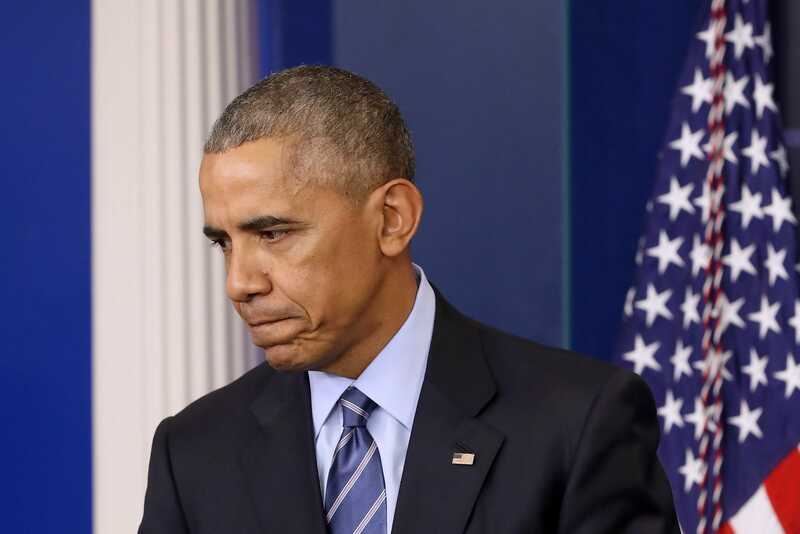 Confronted by Andrew R. Free, a US immigration lawyer, about how border detentions might stain his legacy, Obama stressed that it was important to deter and deport border crossers. Asked about migrant children standing trial without a lawyer, a senior Justice Department official under Obama argued that toddlers could be taught US immigration law. “We have to send a clear message just because your child gets across the border doesn’t mean your child gets to stay,” Hillary Clinton said in 2014. “Those of us who spoke out were told to sit down and shut up” by Democratic officials, Kolken said of his immigration advocacy during the Obama years. Trump’s administration has also talked about deterring potential border crossers, but in Kolken’s view it doesn’t work that way. To be deterred, people have to know what consequences await them and decide that those consequences are worse than staying put. “These individuals are fleeing for their lives,” Kolken said. “The last thing they’re concerned about” is US immigration law, he said. 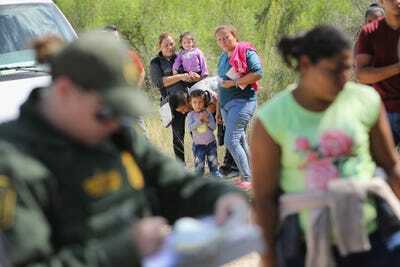 John Moore/Getty ImagesCentral American asylum seekers waiting as US Border Patrol agents took them into custody on June 12 near McAllen, Texas. “Things have gotten worse under Trump, but we’re not talking about zero to 10 – we’re talking about 7.5 to 10,” Kolken said. Separating families is unique to Trump and has come under unique scrutiny. Taking children away from their sole caregivers costs the US tremendously and can traumatize the children. For all Obama’s detention, deportation, and skirting of due process, the families remained together. But Trump’s policy has a clear lineage from Obama, who Kolken says also made a “strategic decision to criminally prosecute individuals” who illegally entered the country. Obama left Trump with a backlog of about 600,000 people to deport. When Obama left office, 52% of federal criminal prosecutions were over immigration, according to Syracuse University. “Any of those people that end up getting deported should be attributed Obama, not Trump,” Kolken said. 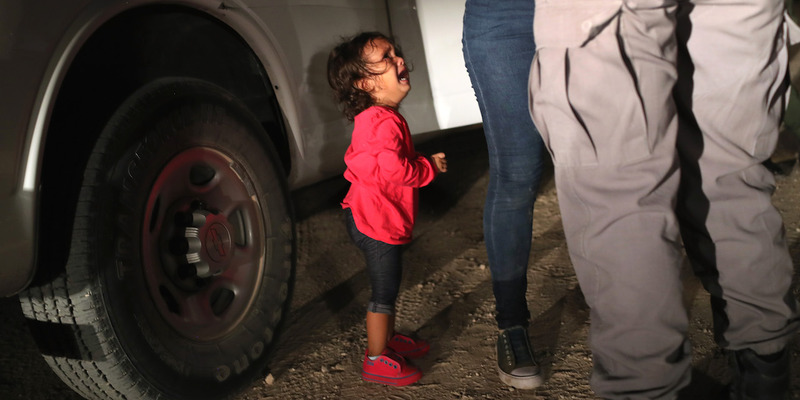 But today, Trump, not Obama, leads the US, and while the outrage over separating families can be attributed to Trump, the detention of families at the border is a US tradition of late. Now that Trump has signed an executive order intended to keep families together, his immigration policy is much the same as Obama’s, but for Kolken and other advocates for immigrants, that’s far short of humane.